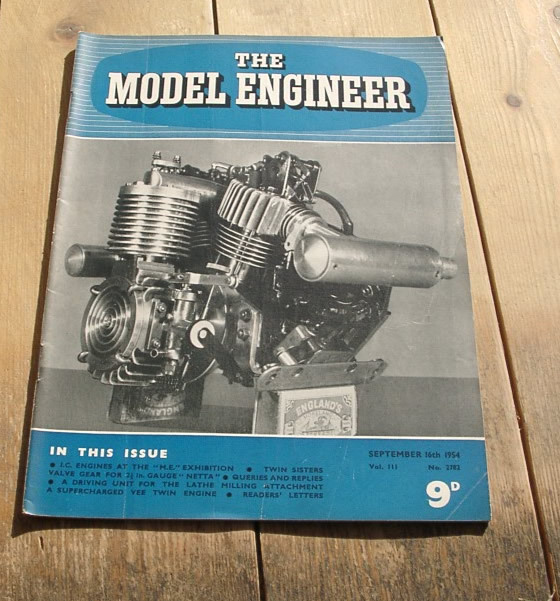 September 16th 1954 Edition of the British Magazine, Model Engineer. 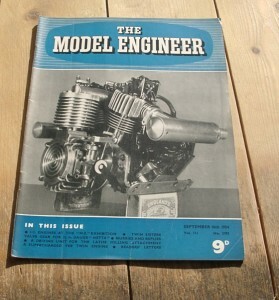 This issue has articles on a valve gear for the 2 1/2 in. gauge “Netta”, a driving unit for the lathe milling attachment, a supercharged Vee twin engine and the Australian Railway centenary stamp.